BelFone BTX Trunk is a trunking system designed according to ETSI TS 102 361-4 DMR Tier III standard. Besides the Tier III trunk features, BTX Trunk system is also featured with integrated network design, large coverage, modular and high integration base station design, and superior reliability. Thanks to its high integrated hardware design with standard 2 carriers 4 channels and 4 carriers 8 channels base station, and minimum network MSO design, the basic-build BTX Trunk DMR trunking system is economic and affordable for transportation, energy resource, public utilities and commercial users who need to upgrade to trunking networks. ETX Trunk is designed for large-scale networks ranging from around hundreds to many thousands of users. It is base on DMR Tier III standard technology, delivers exceptional performance and reliability, centralized network management, improved worker safety and business efficiency, information integrity and operational security, as well as flexibility and scalability to meet user’s future needs. Spectrally more efficient, BelFone ETX Trunk Enhanced DMR trunking system optimizes voice and data traffic, maximizing the available frequency resources for larger groups of users, such as public safety, public utilities, municipals, airports and government agents etc. When disasters strike, a quick, informed, and decisive response will save the day. Fast deployment, efficient dispatching, network stability, stable voice communications, and coordination between different groups are of great importance when mission is critical. BelFone BMC Emergency Response solutions give solution to connect and respond. 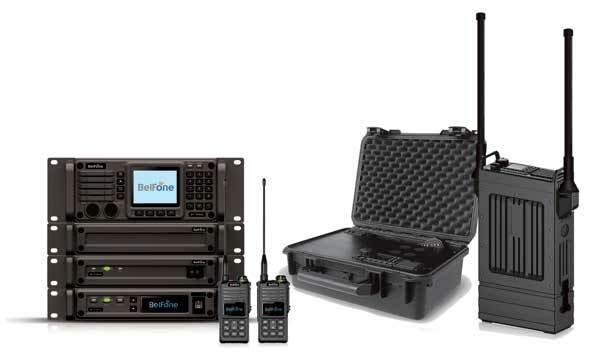 With single or dual bands single frequency portable man pack repeaters, dual band auto-networking mobile terminals, modular design base stations and repeaters, the BMC emergency communications system provides an opportunity to build a fast and flexible network for mission critical communication groups. All the products in BMC system meet MIL STD810G standards and IP67; they are tough and robust to brave all kinds of harsh environments. 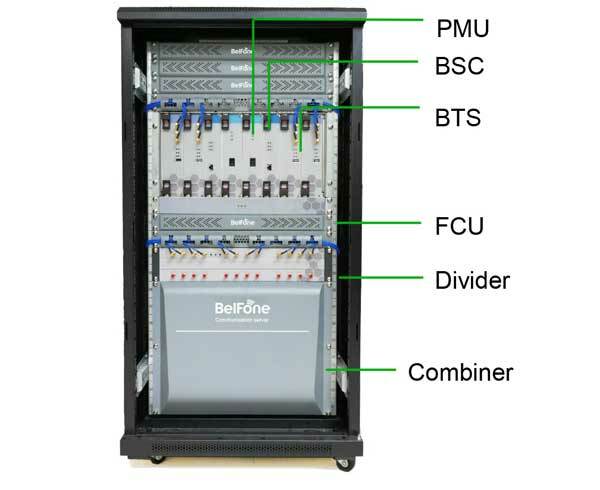 BelFone SDC system is a DMR Tier II conventional system that is able to connect multiple repeaters over IP network to extend the coverage of radio-repeater networks. Integrated voice and data, SDC system is able to provide diversity voice calls, SMS, GPS, patrol data, remote control signaling etc. All radios used in authenticating access to SDC system, which avoids any unauthorized radio to disturb the network. The B/S platform dispatcher allow different OS platform devices to access the network for command and control, include PC, MAC, tablet, etc., which provide an easy and convenient way for users to operate and maintain the network. 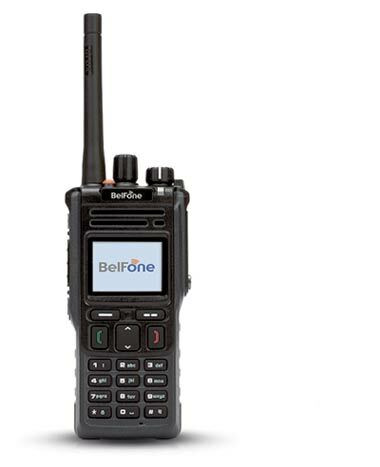 BF-TD950 is a DMR handheld radio designed according to ETSI TS 102 361-4 DMR Tier III standard in trunking mode and also comply with ETSI-TS102 361-1,-2,-3 standard for conventional mode. The radio is compatible with BelFone BTX/ETX Trunking System, also can work with any other infrastructure that is designed according to ETSI TS 102 361-4 open standard. Feature with full duplex feature, in-built GPS, bluetooth, and mandown options, BF-TD950 provides diversity functions to fit users’ requirements in different scenarios. The radio meets IP68 and MIL STD 810 G, it is strong and robust to work under harsh environments. BF-TD950 is a DMR mobile radio designed according to ETSI TS 102 361-4 DMR Tier III standard in trunking mode and also comply with ETSI-TS102 361-1,-2,-3 standard for conventional mode. The radio is compatible with BelFone BTX/ETX Trunking System, also can work with any other infrastructure that is designed according to ETSI TS 102 361-4 open standard. Feature with full duplex feature, in-built GPS, bluetooth, support remote mounted kit for installation, also reserves option board interface on radio for any third party to further develop desired functions.